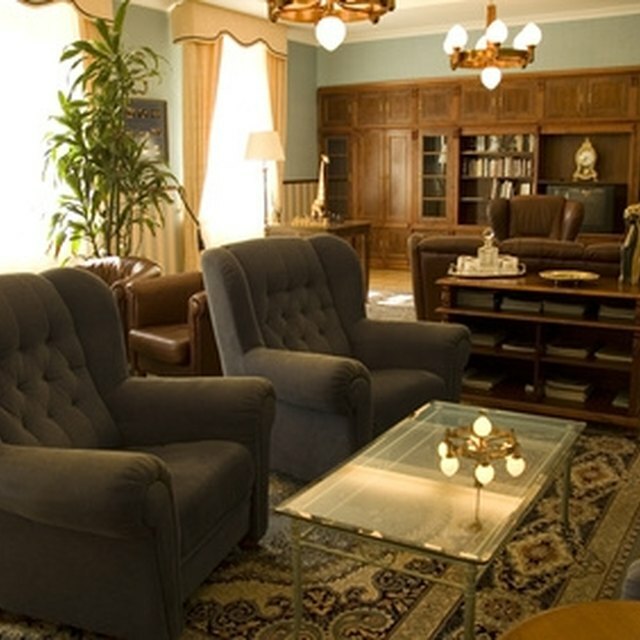 Shaped valances come in a limitless variety of styles, and can be designed to fit any decor. 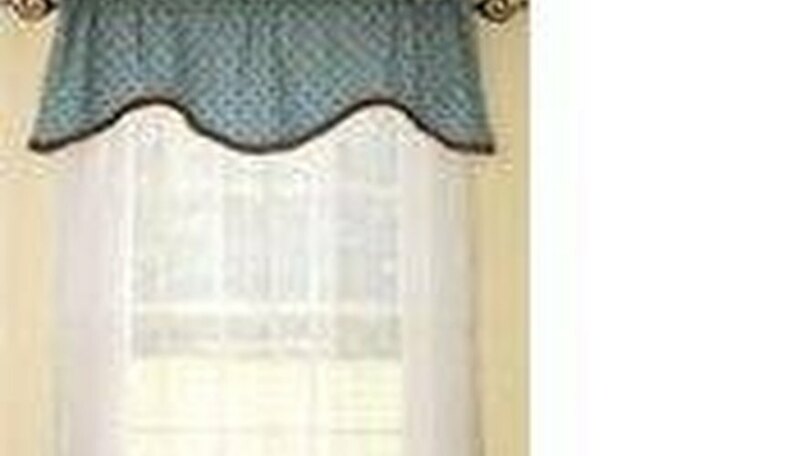 These valances can be made from the same fabric as your curtains or draperies for a sophisticated, seamless appearance, or in a contrasting color to draw the eye upward and give the illusion of more height. 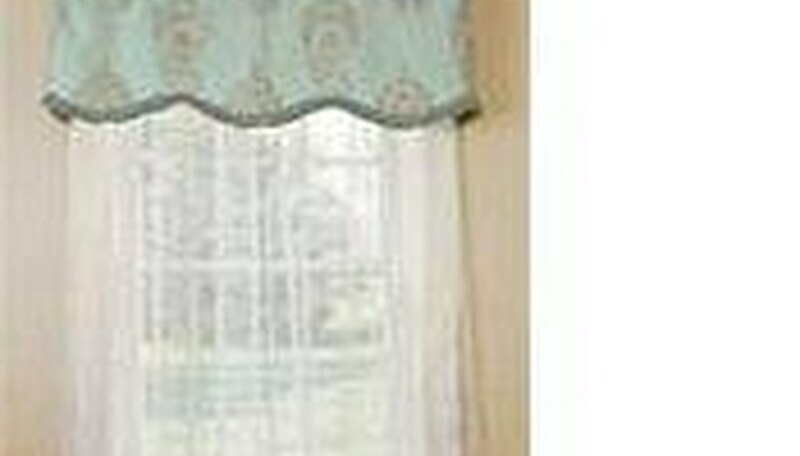 Shaped valances can be used alone on small windows, such as a kitchen or bathroom window. Make shaped valances in holiday colors to decorate for the season. Draw the design you desire on paper and cut it out. Try the pattern against the window to judge for proportion. Make sure design elements like points or scallops are evenly spaced and pleasing. Make any necessary changes to the pattern. Cut the mounting board to the desired width. Make the mounting board at least 4 inches wider than the window trim to allow space for curtain or traverse rods. Lay the valance pattern on the face side of the fabric and cut it out, allowing 1/2 inch of extra space on all sides for seam allowances. Cut the lining and the fusible inter-facing using the same procedure. Use an iron to fuse the inter-facing to the "wrong" side of the face fabric. Use the correct heat settings for the specific fabric. Lay the lining with "right" sides together on the face fabric. Pin and sew around all edges, leaving the top open for turning. Trim the seam and clip any curves or points. Turn the fabric right-side out and press with an iron. Sew any desired trim to the bottom edges of the valance. Cut a strip of the lining fabric the same length as the top of the valance, plus 2 inches. Sew the strip to the top of the valance leaving 1 inch at each end of the lining. Use a stapler to attach the finished valance to the mounting board. Staple only the lining strip to the mounting board. Install the valance above the window trim using angle brackets.